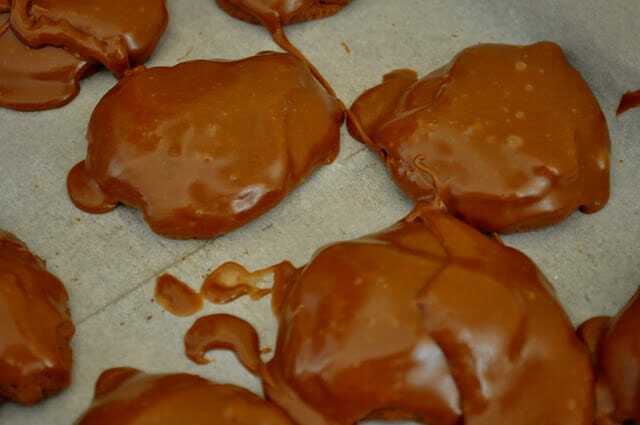 This recipe for Texas Sheet Cake Cookies was sponsored by Imperial Sugar, all opinions are my own. When I first started thinking about WHAT to make for this crazy, crazy as in awesome, week of #Choctoberfest I could not get Texas Sheet Cake out of my head. Why? I guess I wanted a chance to make something I’d never eaten before and that not everyone else would be making. I wanted new and different to eat and to share for #Choctoberfest, I found what I was looking for in Texas Sheet Cake Cookies. If you love to bake and try new things too, think about joining my Ten Week Great British Baking Show Bake-Along, it’s going to be FUN! I’d only ever made a Texas Sheet Cake once but I swear it was the most chocolaty chocolate thing I’d ever made. And I didn’t even get to eat any of it, I was simply handed a recipe and asked if I could make it for a luncheon. I did and I drooled over it but because it would look funny to deliver a “sheet” cake with a piece cut out of it, I stayed out of it. When #Choctoberfest with Imperial Sugar came along I knew it was the perfect opportunity to make that recipe again, except by this time I’d lost the recipe, no worries there, off to the Internet I went. There are roughly a gazillion recipes for Texas Sheet Cake, I looked at all of them but once you’ve seen a half a gazillion you’ve seen them all. One recipe by Cookies and Cupcakes caught my eye though because it made 24 cookies instead of an entire cake and that seemed a smart way to make lunch box treats for kids AND get ooey gooey Texas Sheet Cake in one fell swoop. So I settled on the Texas Sheet Cake Cookies and got to work gathering ingredients. 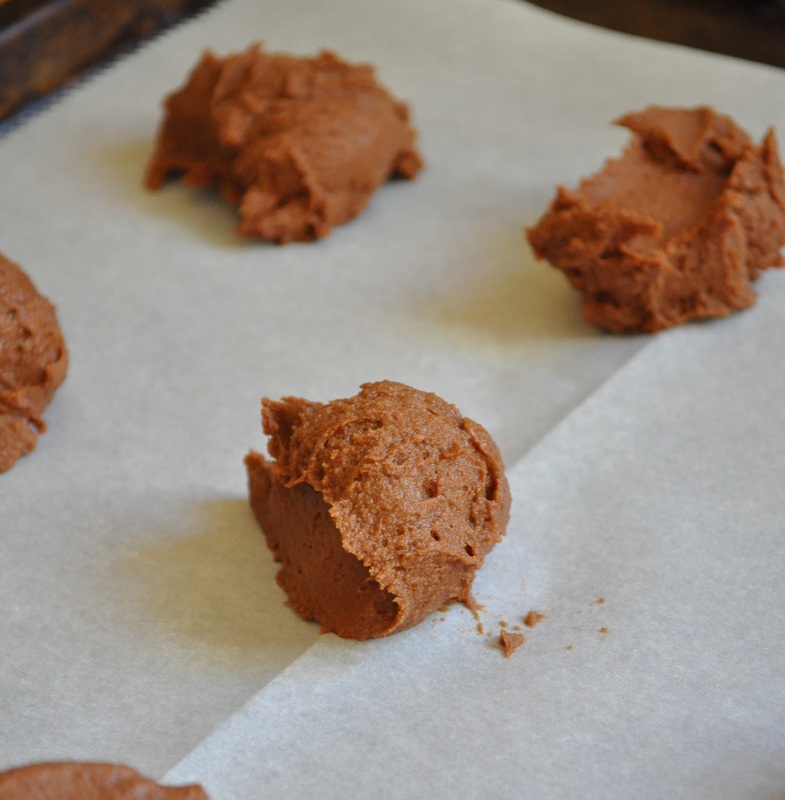 Believe me when I say this the best chocolate cookie recipe I’ve ever made. Texas Sheet Cake Cookies. Ooey gooey frosting, Dense chocolate cookie, does it get ANY better? I finally made a video for this recipe–enjoy! Favorite chocolate? Ha! I'm that person that will melt unsweetened chocolate and mix it with sugar when I need a fix! 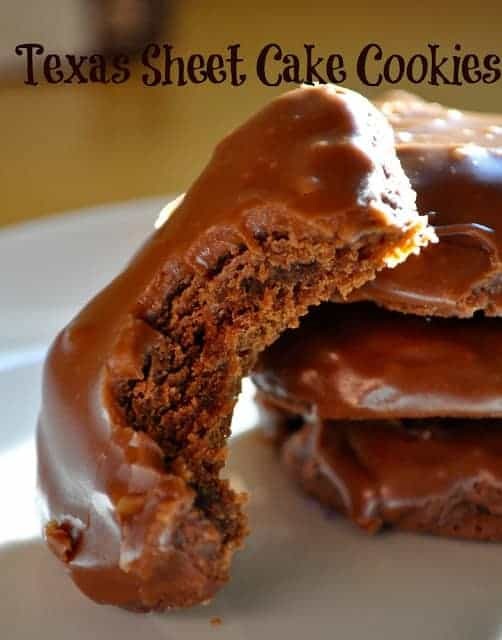 I have never had a Texas sheet cake but these cookies look pretty awesome. 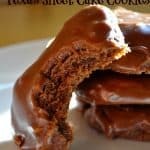 make the Texas Sheet Cake Cookies–you won't regret it! 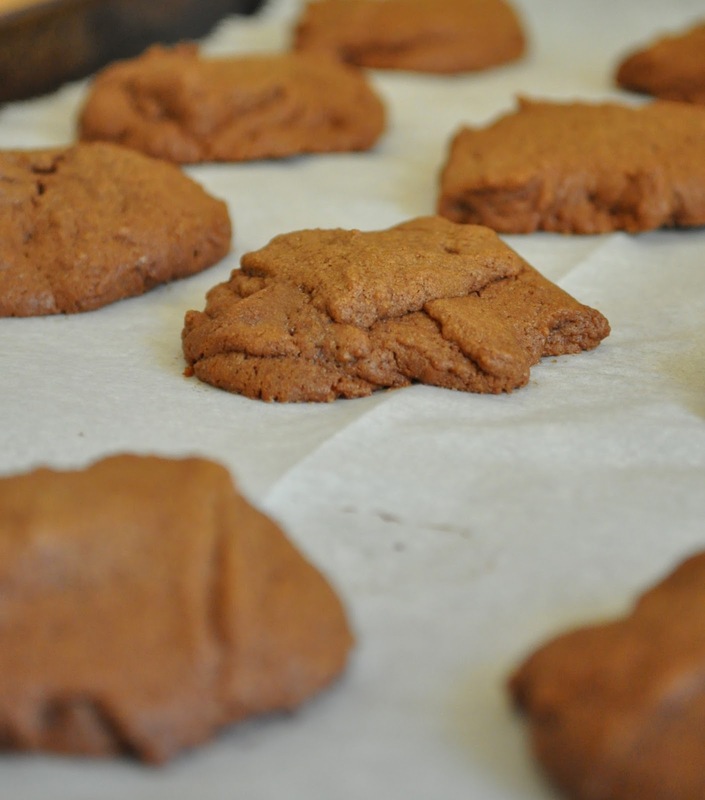 These are so good and very easy! oh I am so happy to hear that! I love them too but I don’t like to make them very often because well I like to eat them! I’m totally drooling. All that chocolate!! Yum…I love that you made a cookie version of this cake! What do you mean by “cup scant 2/3 sugar”? don’t usually add them in. Personal preference! Try adding a little coffee to the icing. Amazing – coffee and chocolate. PAT! I love that idea and I’m going to try it out the next time I make them. Thanks! Laura, my recipe that I’ve had for about 45 years calls for chopped pecans in the frosting. Not a necessity but an option. Is there a safe way to ship (so frosting doesn’t get gummy) these? Texas Sheet Cake is my son’s favorite and I’d like to send him some as a gift. Phyllis, there’s no reason you can’t add pecans–they would be fabulous! As far as shipping I’m just not sure how they would fare. It’s a simple frosting so maybe try it out? Will they be going somewhere hot? That may cause problems. I make Texas Sheet cake for potlucks or to share. Very dangerous to have one in your home. Amazing chocolate cake crossed with brownie…yum. 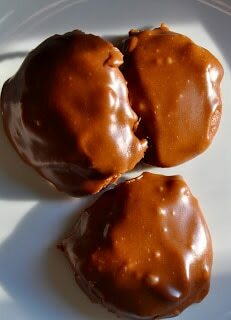 Will make these when I have a lot of help eating them.